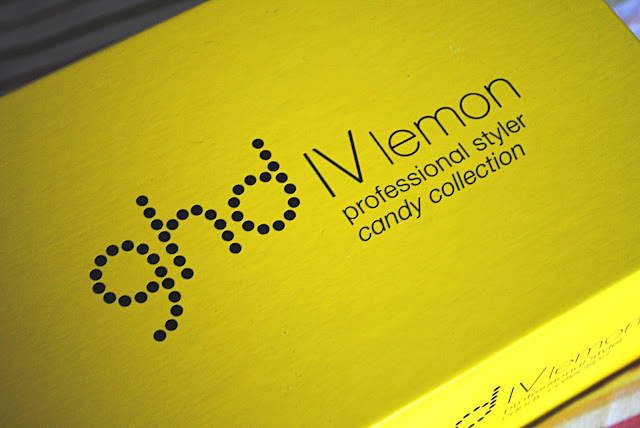 A few weeks ago I was lucky enough to be sent one of the new GHD IV Candy Stylers, in the absolutely gorgeous yellow 'Lemon' colour. I'd heard a buzz about these stylers and I can totally see why; they are seriously cute as candy. Available in three new shades; lemon, mint and violet, each one as pretty as the other. I have to say, I'm completely in love with my Lemon version. 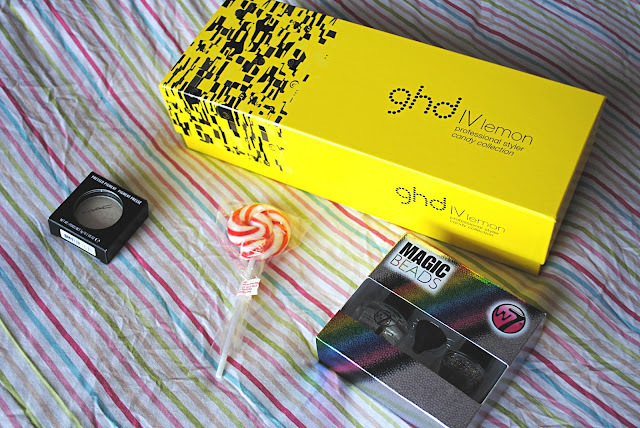 I've never actually owned a pair of GHDs so I was so excited when it came to using them, and was a bit reluctant to use them straight away as they looked so pretty on my dressing table! However I couldn't resist waiting, and after using them a few times I have to say, I'm suitably impressed. When I received the stylers I was asked to create a 'Candy' look using the make up and stylers provided. 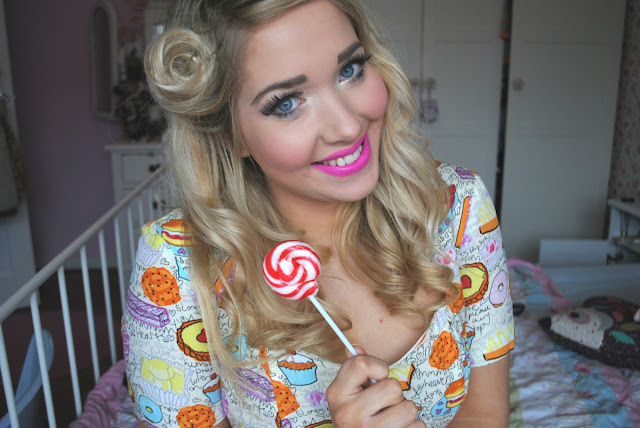 I absolutely jumped at the challenge - I am a girly girl at heart and adore all things Candy-related, so to create a cute-as-candy look was a dream come true. I used the W7 Magic Beads on my nails (over a gorgeous lemon polish to compliment my styler, of course! 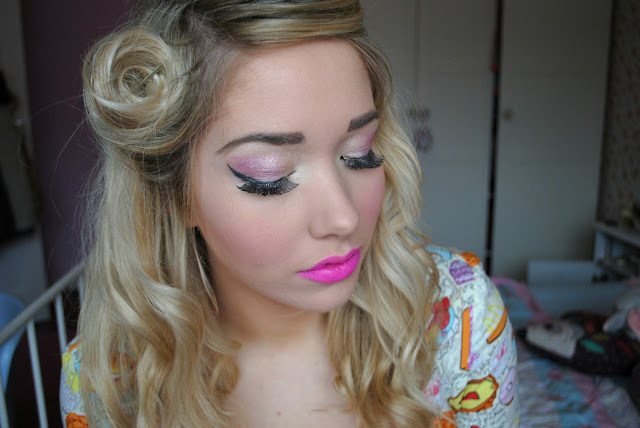 ), and the MAC Pressed Pigment in Flicker all over my lid, with a pink sparkly shadow on the outer corner. Then for the exciting part - the hair. When I think of Candy cute looks, I have visions of a 40s style Christina Aguilera in the 'Candyman' video, crossed with a blue-haired Katy Perry in her 'California Girl's Candyland-themed video. Therefore, I decided victory rolls were the way to go. Just so you know, I have never, ever attempted them before, but I found the key was back-combing and hair spray - I wasn't getting anywhere with just freshly-washed, no-product hair! Once I'd back-combed and hair sprayed away, I found it so much easier. I then clipped the rolls in place and got on to curling. Curling with these babies is seriously a dream. Because they're so thin and nifty, they make it so quick and easy to curl your hair. I've always struggled with curling my hair with straighteners, but after a few attempts I definitely think I've got the hang of it - and it only took about 15 minutes to do. I followed with lots of hair spray, brushed the curls out a bit and voila - you can see the finished Candy-fied creation above! 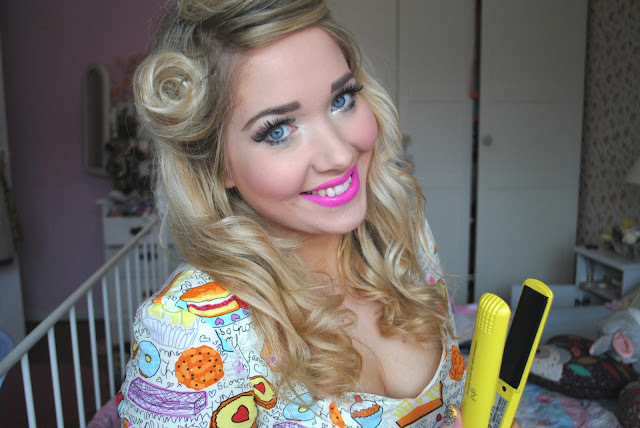 I am so impressed with my GHD Candy Stylers and they have most definitely become a big part of my hair routine. I want one in every colour! 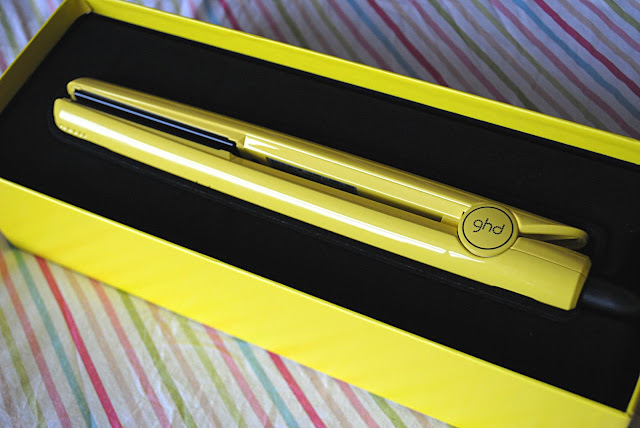 Have you used GHDs before? Are you lusting after the new Candy Collection?